Ford will unveil new ECOnetic variants of the Fiesta and Focus at Frankfurt, the latter of which is, Ford claims, the most fuel efficient non-hybrid car in its class in Europe. The new Fiesta ECOnetic manages 85.6mpg, and the Focus manages 83.1mpg, with CO2 emissions of 87g/km and 89g/km, respectively. Both cars are powered by 1.6-litre Duratorq engines, producing 95PS in the Fiesta and 105PS in the Focus. Amongst the fuel saving technology employed in the new ECOnetic models is stop/start technology, regenerative braking, a gearshift indicator and ‘Ford Eco Mode,’ which coaches the driver by monitoring their driving style and suggested simple improvements. This system alone can improve fuel economy by as much as 10%. Both models also benefit from improved aerodynamics, low friction engine and transmission oils, low rolling resistance tyres, electric power steering and a system to optimise the warming up of the engine. There’s also a NOX trap, which catches harmful emissions normally associated with diesel engines. 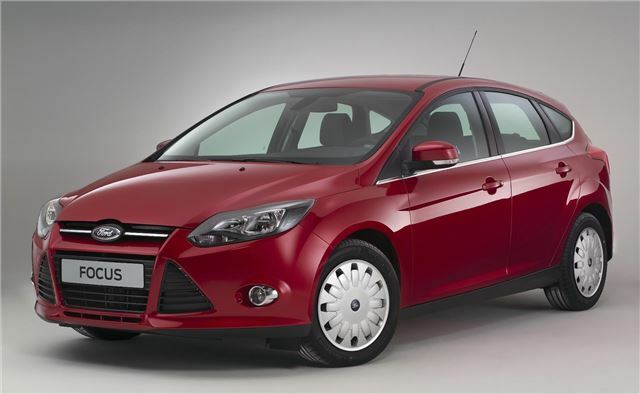 ECOnetic Technology will be fitted to Fiesta, C-MAX, Grand C-MAX, Focus, Mondeo, S-Max and Galaxy models by the end of the year, and Ford expects two thirds of the cars it sells by mid-2013 to feature it. Besides the new ECOnetic models, Ford is to debut a Focus powered by a 1.0-litre ECOboost engine, demonstrating the practicality of a downsized engine.